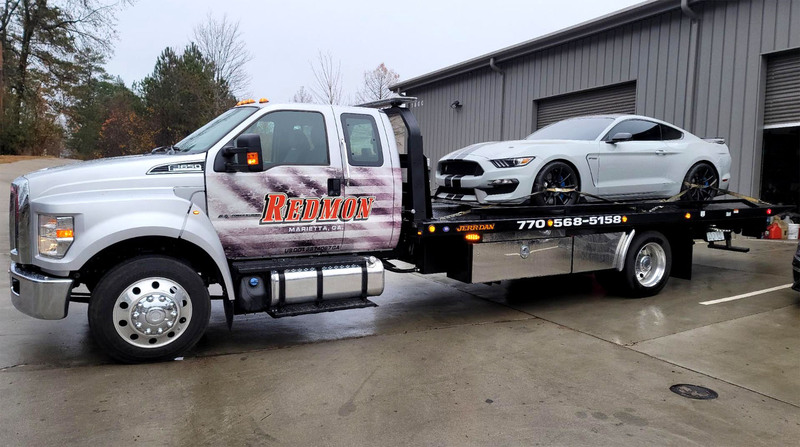 Redmon Wrecker Service is a reliable wrecker service and towing company in Marietta GA. When you search for tow truck near me and call us you can rest assured that we will get to you as quick as reasonably possible. 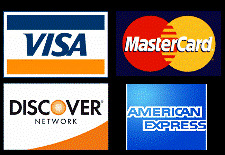 We accept cash, and major credit cards including Visa, MasterCard, American Express, and Discover. FAST RESPONSE! We dispatch from Marietta and have quick arrival times in Marietta, Kennesaw, Woodstock, Acworth, Smyrna and Vinings. We cover a wider area including Austell, Dallas, Hiram, Mableton, and Powder Springs. We offer roadside assistance services in northwest metro Atlanta. We can help stranded motorists with common vehicle problems. Click the following link to learn more about our roadside assistance services. When you call a towing company the dispatcher will need basic information such as location, type of vehicle, etc. The dispatcher can give you an estimate of how long it will take the driver to get to your location. The dispatcher will immediately notify the tow truck near you and give them your information. The tow truck driver will arrive at your location as quickly as possible, and greet you by identifying themselves. The driver will need your car keys, and perhaps access to your trunk to get your tow hook near your spare tire. You should stand back away from the vehicle while the driver works. If your car is on a busy street or interstate you should wait in the tow truck where you are safe from traffic. The driver will load your vehicle onto the truck, and secure it with tie-downs. When the vehicle is secured the driver will get into the tow truck and ask you the destination to which you want your vehicle towed. The driver will then take your vehicle to your selected location, and unload your vehicle. The driver will give you your car keys, complete your work order and request payment. In some situations our customers ask us to drop the car at one location, and take them to another location such as home or work. We can do this however; you should know that there is a per-mile charge for any distance our trucks may travel. The typical cost for a flatbed towing service in metro Atlanta is around $80-$90 for a nearby tow. Marietta towing companies require full payment at the time services are rendered. Typically, towing companies accept cash and major credit cards. Very few towing services accept personal checks. If you have towing coverage as part of your car insurance you can send your agent your receipt for reimbursement consideration. Towing companies cannot direct bill insurance companies. Acworth, Austell, Dallas, Hiram, Kennesaw, Mableton, Marietta, Powder Springs, Roswell, Smyrna, Vinings, Woodstock. Jacob exceeded my expectations. I was pleasantly surprised at seeing the truck arrive in just over 20 minutes. He was very nice to me and my young daughter. Even though I have towing insurance it was nice to find out that they have reasonable costs. In accordance with federal and state laws we carry all required insurance. SEO Services Tiger SEO Marketing ~ © 2016. All rights reserved.